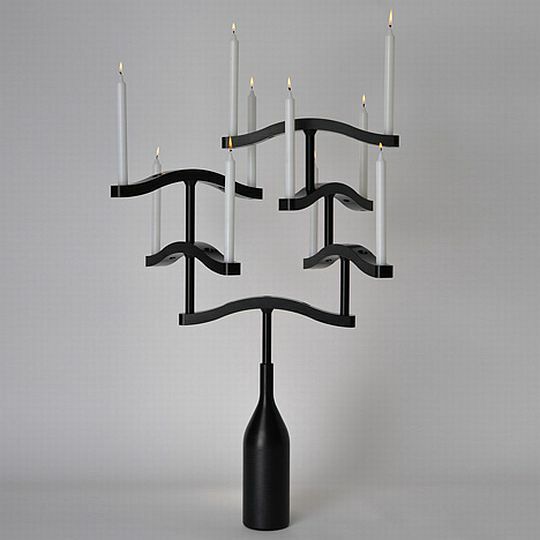 Now that the Holidays are over, we thought you might want to know about this beautiful candelabra by Patrick de Glo de Besses, a designer from Paris. 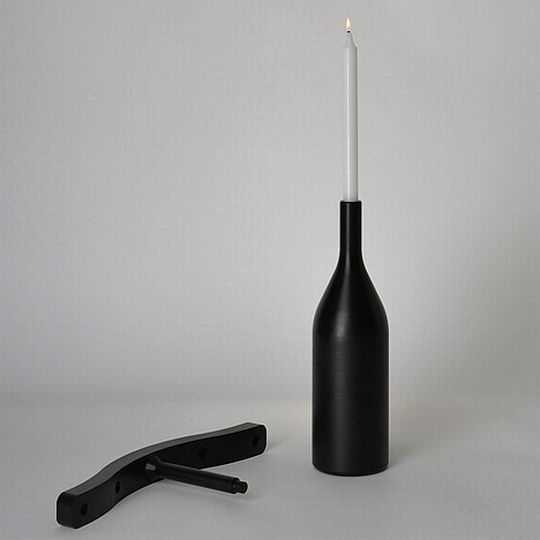 He creates a beautiful black polyamide candle holder, reminding us of the ideea of using bottles to sustain candles. 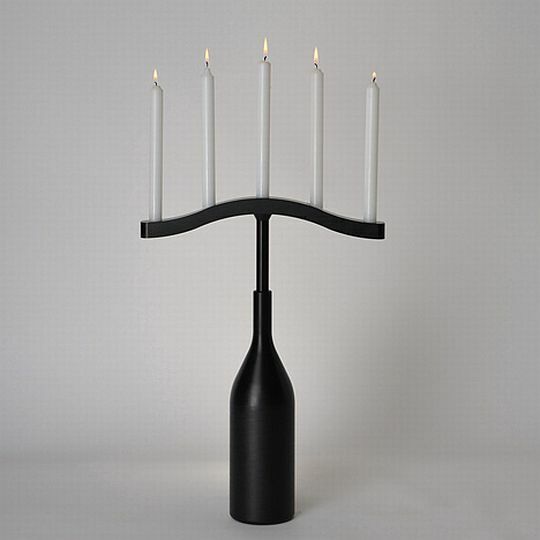 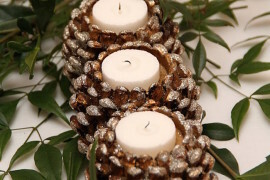 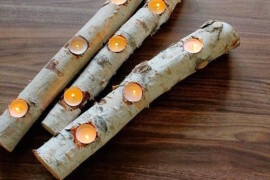 The object can be configured to hold between one and twenty five candles, depending on how many branches are used to form the candle holder. 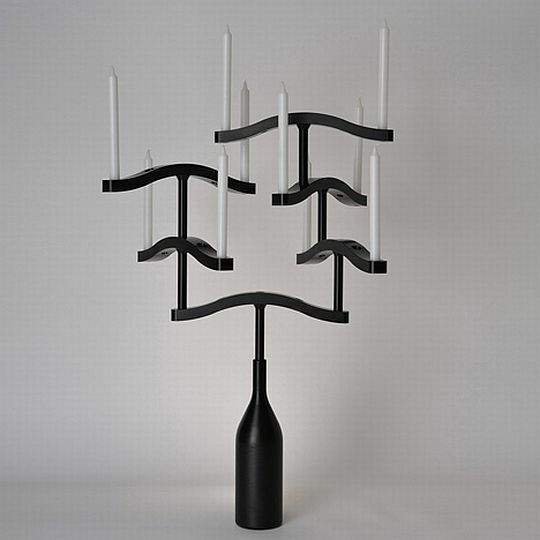 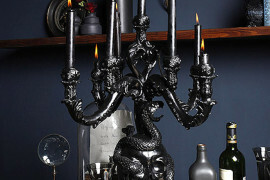 Versatile and modern, the black candelabra was named Funambule, meaning tightrope walker. 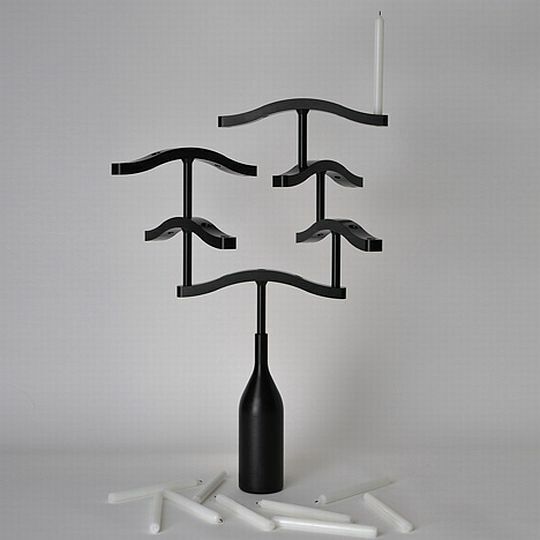 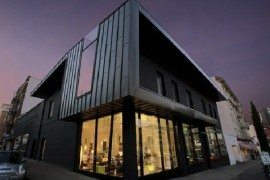 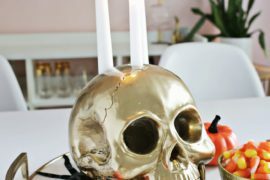 The designer explains the inspiration for his words: “The play with several accessories has the time surrealist “cadavre exquis” and “ready-made” allows of numerous conbinations 1 to 25 candles. 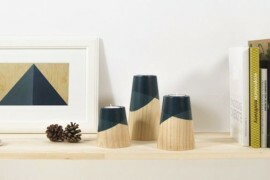 funambule” become alternately minimum and grotesque; rustic and modern; commonplace and poetic; funny and nostalgic. 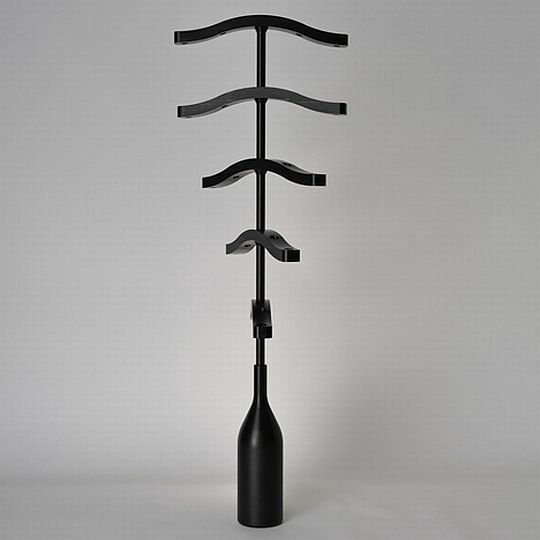 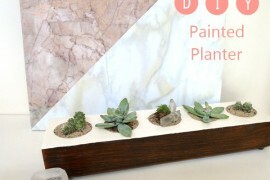 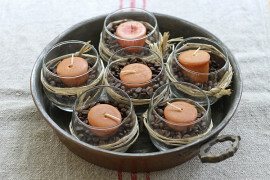 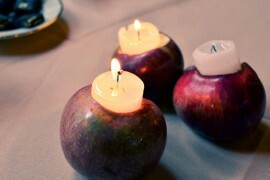 It is a tribute in the simple and daily objects.“This would be a nice addition to your home for the holidays.